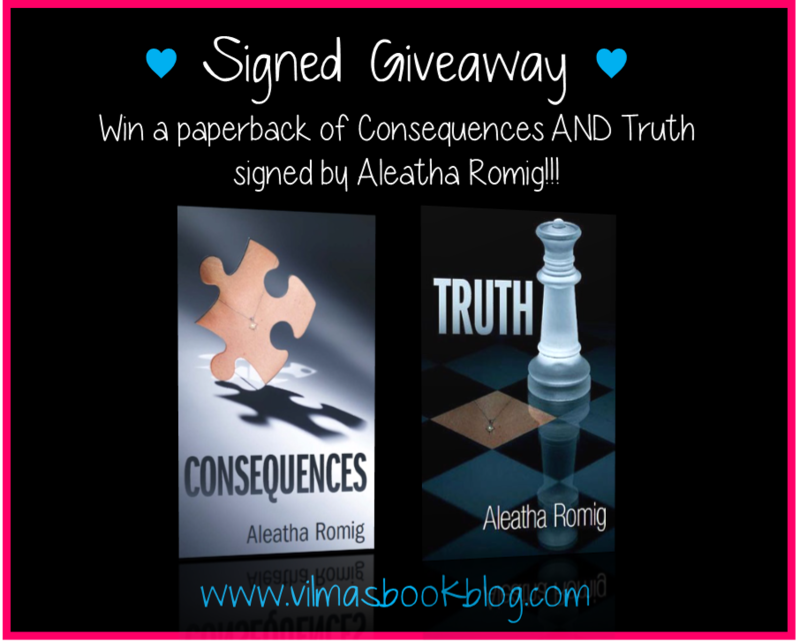 Win a signed paperback of Consequences AND Truth signed by Aleatha Romig! Oh my gosh, best.giveaway.ever!! My favorite books!! I so need these in my life! 🙂 thanks for doing this!